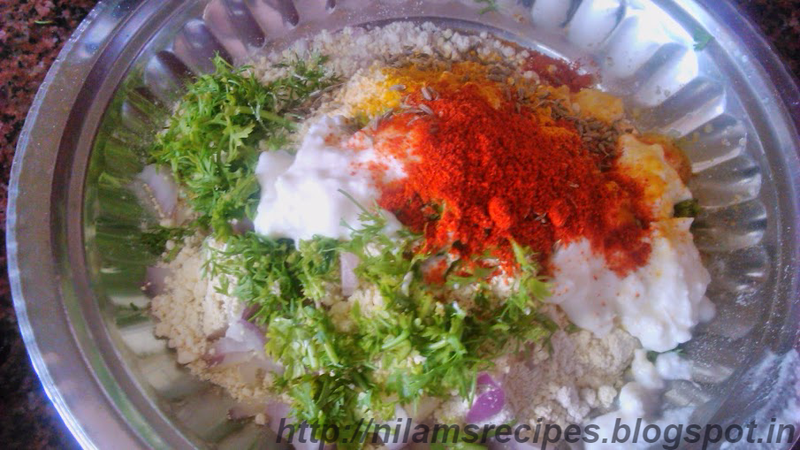 In a mixing bowl combine the jowar flour, besan,red chilli powder, turmeric powder, cumin seeds and salt. 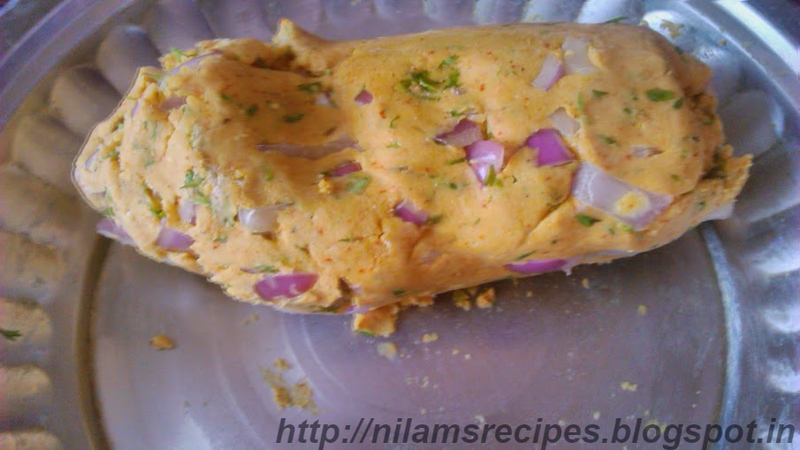 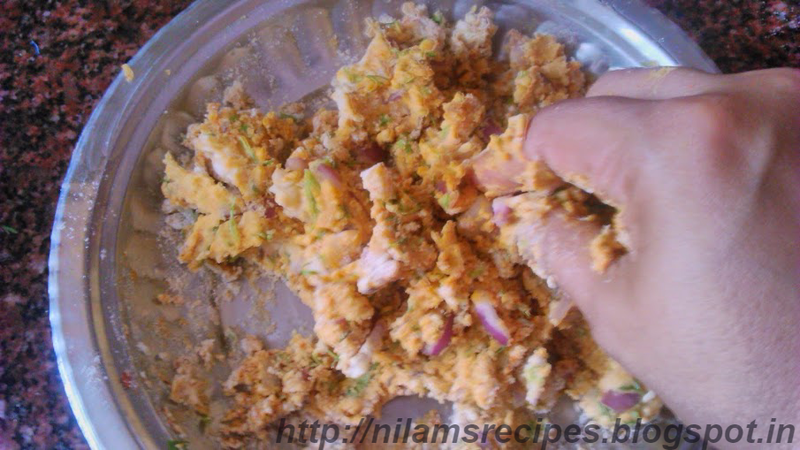 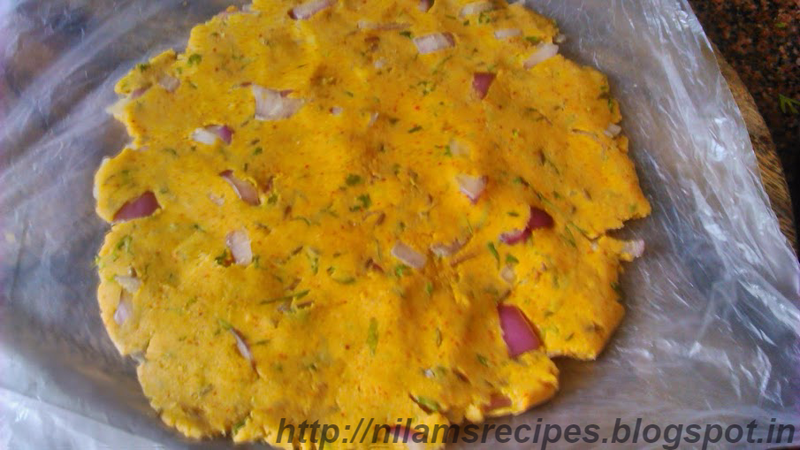 Add the chopped onion, coriander leaves, yoghurt and sufficient water to make a soft dough. 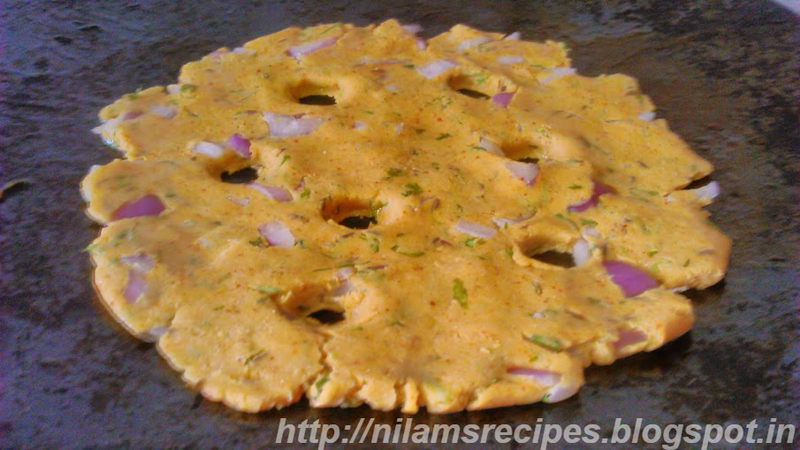 Make a small hole in the thalipeeth. 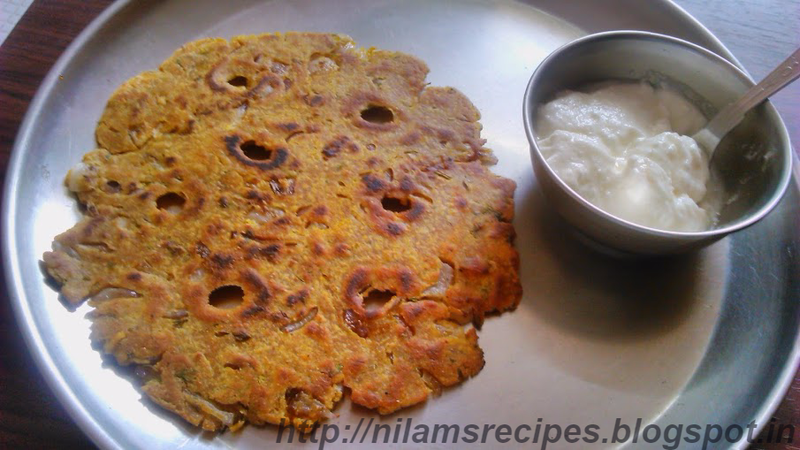 Heat a tava on a medium low heat and place thalipeeth on it. 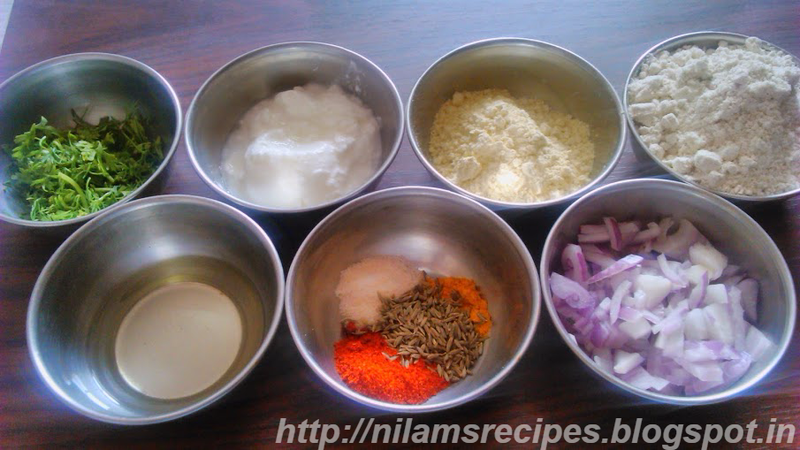 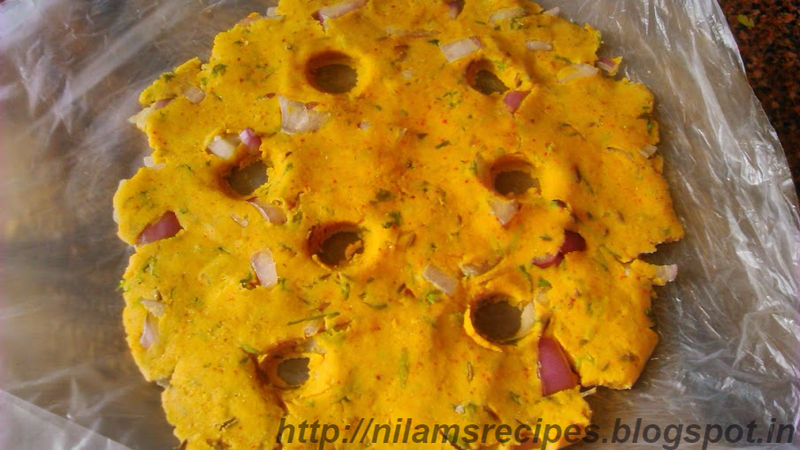 Pour little oil in the centre and edges of thalipeeth and cook till it turn into brown. 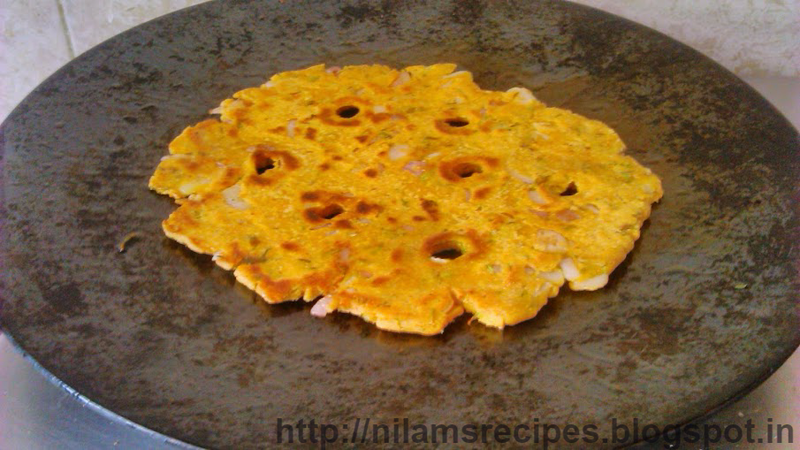 Now flip it and cook the other side also on medium high heat. 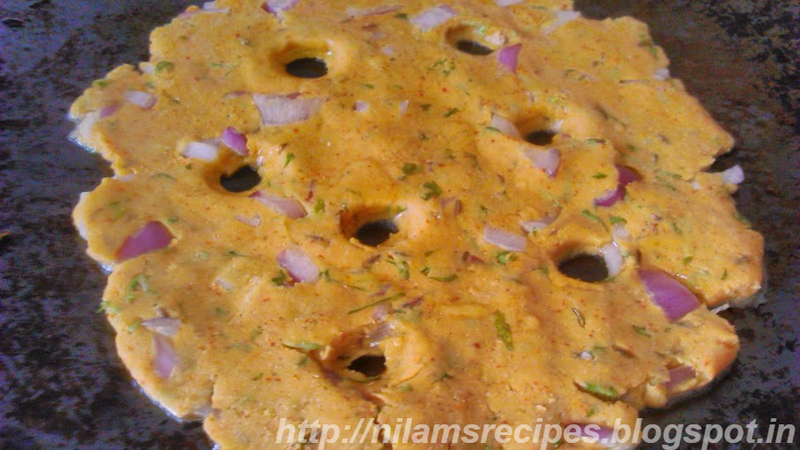 Serve hot with pickle,tomato ketchup or curd.